Theory, Work sheets and Quiz. 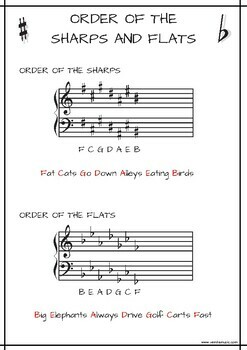 Great way to introduce the order of the sharps and flats to your students. 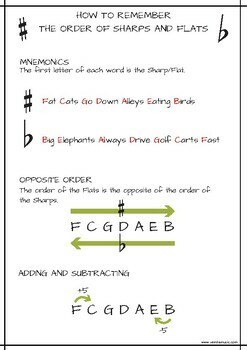 Theory includes mnemonics to remember the order of the sharps and other way s to work the order out. 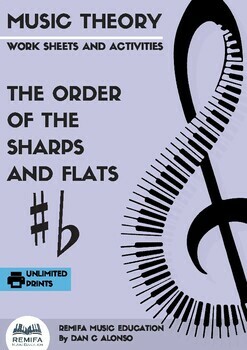 The work sheets cover various ways to work out and remember the order of the sharps and flats. A small quiz is also included. Rate and Share this store. 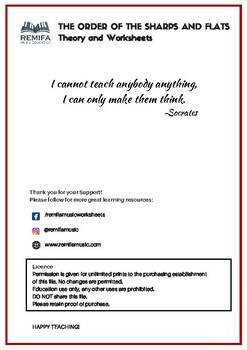 Please follow to stay updated on new sheets.